Over the past four decades, the increase of black women in politics has continued to grow. Social media has arguably played a part in increasing their likelihood with millennials. The modern state of America has urged those in politics to truly step-up and take a stand and that’s exactly what these women have been doing. Being a voice, evoking change and challenging the status quo. How could we forget the infamous phrase coined from Maxine Waters ‘Reclaiming My TIME!’ after having her question unanswered in a political meeting. A phrase that we can ALL relate to. I’m sure you’ve seen the video or the countless memes that came from Maxine putting Treasury Secretary Steven Mnuchin in his place after brushing off her question. This blog is a tribute to just a few black women who are shaping the world of politics in their own perspective rights. Today, I wanted to shed a light on these women who are doing just that. Although most are just getting acquainted with Waters, she has been a force for YEARS. She was instrumental in the formation of the National Political Congress of Black Women in August of 1984. 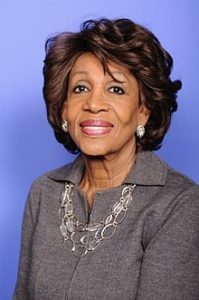 In 1990, Maxine Waters was elected to the U.S. House of Representatives, where she became an advocate for poor communities, minorities and women. “If you believe in something, you must be prepared to fight. To argue. To persuade. To introduce legislation again and again and again,” stated Maxine Waters in Essence. Not one to hold back her comments on the state of politics or the need for impeachment of the current President, Maxine has truly made a name for herself as a force to be reckoned with. Our forever First Lady, Michelle Obama is a role model, lawyer, writer and SO much more, she has truly been the epitome of class and grace. 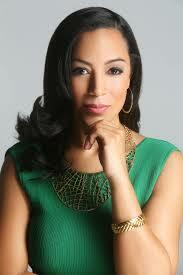 She studied sociology and African American studies at Princeton University. After graduating from Harvard Law School in 1988, she joined the Chicago law firm Sidley & Austin, where she later met Barack Obama, the man who would become the love of her life and President of The United States. While in the White House, Mrs. Obama put together the ‘Let’s Move!’ initiative, which encouraged a healthy lifestyle amongst Americans, especially for our youth. She also put two initiatives together ‘Reach Higher’ and ‘Let Girls Learn’. Since leaving the White House, herself and Barack have continued their movement for change in America, although not in the direct limelight. After signing a million dollar book deal, I look forward to Michelle Obama using her platform to strike conversation and push towards change. Kamala Harris is the Attorney General in the state of California. She is said to be a viable candidate for the 2021 race for president. 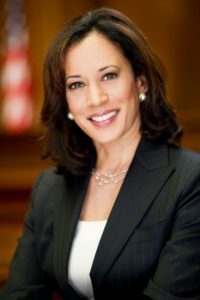 Kamala’s political background began in the Alameda County District Attorney’s Office, where she specialized in prosecuting child sexual assault cases. Harris is a graduate of Howard University. She later received her law degree from the University of California. Her website bio describes her as an advocate for the most voiceless and vulnerable Californians. “Do not throw up our hands when it is time to roll up our sleeves and fight for who we are,” Kamala has stated. I look forward to seeing her growth in the political realm as her spotlight grows. Coming to light during the recent presidential election as a CNN political commentator, Angela Rye definitely does not hold back and people love her for it. Especially popular amongst millennials, Angela Rye also co-founded IMPACT, an organization that helps and encourages the young and upcoming professionals in three core areas: civic engagement, economic empowerment, and political involvement. 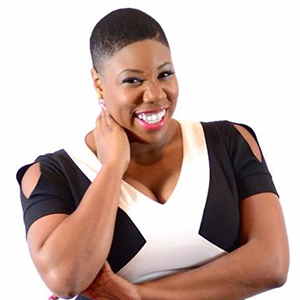 She also serves as a legal attorney, and political advocate for publication and media outlets including Marie Claire, Washington Post, The Root, MSNBC and others. Her bio on her website describes her as a democratic strategist, communications consultant and CNN Political Commentator. Symone rose to prominence during her tenure as the national press secretary for U.S. Sen. Bernie Sanders presidential campaign. Some may know her as the commentator who was told to ‘Shut Up’ on national TV but politely put her opponent together. Samone Sanders is the youngest woman listed here, at 27 years old. She has worked to fight for juvenile justice reform and has become a voice for millennial perspective in political conversations. We look forward to seeing her grow in the political space while continuing to be an advocate for change. Black women in politics is important. In an industry mostly dominated by white males, it’s vital for them to be OUR voice. However, we must do the work too! You don’t have to have a background in politics, or a platform on TV networks to evoke change in your community. If there’s something that you want to change, I encourage you to rally community members and begin to take the steps toward making that change.